Based on reviews from 1,003,963 users. Learn how our rankings work or see our guide to grey sneakers. Updated Apr 2019. Grey, a softer alternative to black, is one of the neutral shades used in sneakers that has been driving sales for its style versatility. Like other earthly tones such as white, black, and brown, the grey shade can easily be paired with various colored clothing, and suitable for any season. 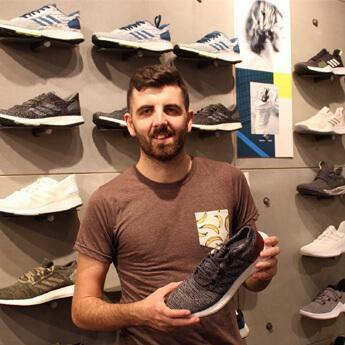 We have accumulated some of the popular grey sneakers available in the market to aid you in your hunt for that ideal footwear to match your casual, dressy, preppy, or smart outfit. Featured here are some of the well-liked grey sneakers, a brief style guide in wearing grey casual sneakers, and various hues synonymous to the grey tone. 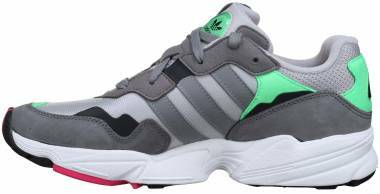 These chunky mid-top sneakers were influenced by popular 1980s Three Stripes basketball shoes labeled as Decade and Centennial with inspiration drawn from other Adidas models, Rivalry and Conductor. Made of soft leather and suede cover, these men's grey shoes with a mixture of Clear Onix match well with jeans. Adidas' easy slip-on and off CS2 PK, are wrapped with a bootie-like Primeknit upper for a sock-like fit, while the bottom part is made of Boost midsole, a trademark NMD impact absorbing unit. These grey sneakers beam with a Shadow Knit technique which is a color-shift pattern made of core black and grey that works well with tapered pants. Originally designed as an indoor training shoe under the 1980s City Series, these modernized grey sneakers carry notable retro features such as the most recognizable T-toe suede overlay and ribbed side panels. Its grey teasel hairy suede body with jagged leather Three-Stripes on the lateral and medial sides offer a classic flavor that’s finished off with a semi-translucent gum rubber outsole. Adidas introduced a fashion-forward interpretation of its classic ball shoe replacing the iconic rubber toe cap with a metallic clamshell. Enriching its traditional leather cover is the use of clear grey, premium Nubuck for that elegant look. These grey sneakers work well with tailored fitting bottoms for that preppy look or with cropped jeans for an upbeat appearance. Embracing an utterly vintage slant that pays homage to football boots are these retro-styled retro-styled Adidas 350 grey sneakers crafted with full grain suede upper. These grant breathability with its perforated vamp and side panels, and looks trendy with its embossed leather tongue. Adidas City Cup grey sneakers are appropriate for skateboarding that grant users the ability to perform various tricks. These reinvented old-school sneakers are wrapped with thick grey Nubuck pigskin suede with textile lining. It also received modern retooling using semi-translucent rubber outsole which makes it suitable for street action. Taking cues from classic basketball shoes, these grey sneakers are given a contemporary spin using woven mesh upper. Breaking the monotony of its grey shell is a camouflage motif in geometric shapes that wraps the heel area. Also falling under the vintage-styled sneaker category, these football-inspired kicks take on the timeless elements of rubber-soled footwear from the 1970s and 1980s. Its all-suede exterior gets a genuinely retro feel with its gummy rubber outsole. Its T-bone toe adds to its throwback look. 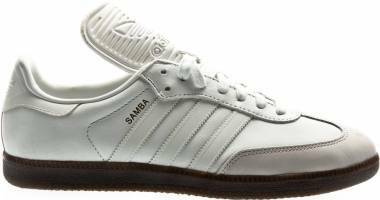 These grey shoes bear the elements of classic Adidas Samba football shoes with a street-ready twist. Its all-grey façade that’s beaming with an oversized and textured tongue connote boldness. Considered as a skateboarding style staple, the Matchcourt Mid is built with a solid grey exterior which is appropriate for action-packed street sport and street styling. Its upper is constructed with a high-wearing suede and abrasion-resistant toe cap to match the needs of riders and those who embrace skate fashion. Appropriate for the daily grind, these lightweight Swift Run sneakers come with a stretchy, two-toned heather grey knit cover that grants a sock-like fit. Offering comfort and cushioning in a running-inspired façade, these grey sneakers suit any urban setup in terms of function and style. A minimalist and futuristic appealing grey sneaker that fits like a sock, the snazzy NMD_XR1 comes with hits of Solar Red on the sole and around the collar. A milky TPU unit on the midfoot acts as a caging system and reinforcement on the lateral and medial sides. 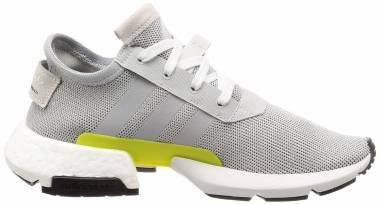 Apart from having flexible and breathable shells, these running-inspired grey sneakers are built with the responsive Boost cushioning midsole. The former ball shoe gets wholly revamped with a premium grey leather cover in a sleek and minimalist frame. This toned down design eliminated the customary three-stripe overlay branding on the side panels and instead showcased an Adidas Superstar label on the lateral side and the iconic shell-toe feature. A reinterpretation of the 1993 Equipment running trainer, this sneaker comes with a state-of-the-art grey knit and Nubuck upper that’s fitting for sporty and casual wear. Its ultra-chic asymmetrical tongue structure, embodying reflective laces, is a come on that add pizzazz to a wide range of everyday wear. These grey sneakers are appropriate present-day ones that embrace the feet with its precisely knitted upper. The midsole, which is built with super-soft Cloudfoam, provides exceptional comfort. Echoing the 1980s retro style, these grey sneakers are crafted with a fusion of velvety, pigskin suede and breathable mesh with the most recognizable heel pegs in the midsole called the tri-color Vario shock-absorption system. The former high-mileage running icon which was initially garbed with mesh and fortified by synthetic suede, comes back, outfitted with a toned down knitted façade. These dark grey, mono-piece Trainer Knit are reinforced with rubber caging systems which wed decently with joggers, tight-fitting jeans, and shorts. These running-influenced grey sneakers mimic the original look of the Asics Gel Lyte III in a muffled build using synthetic overlays. 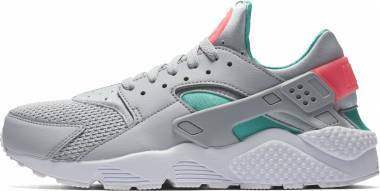 These gel-cushioned kicks with a split-tongue feature come in various gradations of neutral gray. Be it light, soft, or glacier grey, these kicks boost the fashionable appeal of one’s casual and active wear. DC offers heather grey high-top skate kicks which are liberally padded on the tongue and around the collar. 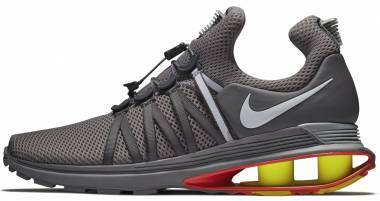 These fashionable grey sneakers allow riders adequate protection when cruising with their boards. Its composition is stylish enough for street walking. Looking sleek and clean, the Lacoste Europa grey sneakers are an ideal choice for occasions that require casual chic and dressy styling. Its timeless silhouette that’s covered with monotonous grey leather makes it a decent option for slim-fit pants, cargos, chinos, and track pants. The customary suede and mesh combo of earlier 574 from New Balance is used in these grey sneakers, modified with premium materials. The sleek styling on this sporty garb makes it an attractive option to pair with clothes for the daily grind, light workout, weekend stroll, and inter-city travel. As its name implies, these grey sneakers embody a strong link to its roots. Its nicely stitched grey suede mudguard and heel counter that blends smoothly with its mesh body are a tribute to the past. In spite of having such overlays, these sneakers don’t look chunky on feet. The 990 is another best-selling model in the New Balance roster that was initially done in grey tone. This comeback style speaks of decades-old running legacy in classic grey that blends with joggers, pin-rolled jeans, leggings, and shorts. The 1300 Heritage is a must-have stylish and sporty kick to enlist in every man’s shoe closet. This sneaker boasts of premium comfort with the use of dark grey Nubuck suede and mesh which elevates the look of your activewear and crisp jeans. The traditional mesh and suede combo are turned into a luxe reinterpretation with the release of the 247 Sport. What sets this grey sneaker higher than the earlier iterations is its use of premium Nubuck and stretchy neoprene. The fusion of these well-crafted features gives this shoe an upbeat, sporty tone that looks classy and chic at the same time. Its versatile styling easily blends with skinny sweatpants, tracksuits, and tapered pants. The late 1990s futuristic-looking basketball sneaker made of one-piece synthetic material is remodeled with a fashion-forward design made of heather grey fleece. This former court sensation finds its home in the streets with a seamless upper structure. The 1997 Air Max variation seemed highly advanced for its time when it was initially released. This silhouette, fabricated with different shades of grey, takes on a fresh look using modern technologies, eliminating the use of stitched overlays. Taking inspiration from an old-school middle distance runner, this Swoosh sneaker is made even more versatile with the use of lightweight nylon and synthetic overlay on the heel. It flawlessly integrates with various outfits with the use of different grey degrees such as Cool Grey and Wolf Grey. Made for skateboarding, this sneaker obtained a slim profile with a low-to-the-ground outsole that grants excellent boardfeel. Its sleek leather cover done in Wolf Grey makes it fitting for everyday casual wear. This former hardwood icon, which showcased the trademark pocket full of air in the heel for shock absorption, returns with a street-ready frame. Looking clean with a Wolf Grey colorway, this mid-top kick is fitting for tapered bottoms and joggers. The ball shoe-inspired Court Borough Low sneaker, low-top, and all-leather silhouette comes with classic overlays such as mudguard, Swoosh branding, lace-up front in leather body. Except for the mudguard and heel counter, the entire shoe is designed with perforations. This skateboarding sneaker is dressed with a vintage upper crafted with suede and accented by leather on the heel. Its functional features also delight skaters who habitually hit their boards. With its lightweight build, this running-inspired kick easily becomes the go-to footwear for those who are always on the move. Its neutral grey, no-sew upper fuses well with an assortment of clothing. The former ball shoe is dressed up with the innovative Flyknit technology in grey tones, particularly cool and dark shades. With its soft covering, the Flynit version of the AF1 Low is flexible and lightweight that walking with this shoe is a breeze. The hardwood classic received an updated cover with the use of soft leather in grey shade. Retaining the simple construction of earlier Puma Basket iterations, these restructured grey sneakers still carry a timeless flair which makes it perfectly right for a variety of everyday casual wardrobe. Wrapped in predominantly grey upper, these ageless shoes that are reminiscent of the 1980s running kicks give your pair of slim pants and favorite tee a vintage vibe. Its lightweight structure is a plus factor that consumers consider it a reliable footwear for walking. Fashioned from the 1980s running shoe, these grey shoes kept the classic curves of the iconic Classic Leather with additional suede accents. The ash grey shade weds well with pin-rolled denim, leggings, and even skirts. The grey shade enhances the classic appeal of the oxford-style Porter-Ressen. These all-leather grey sneakers put an elegant finish when matched with knitted cable jumper and jeans or polo shirt and soft pants. Slip-on sneaker is one of the most versatile rubber-soled footwear that can easily be mixed and matched with an array of outfits, and Vans made this style even better with the use of frost grey suede. 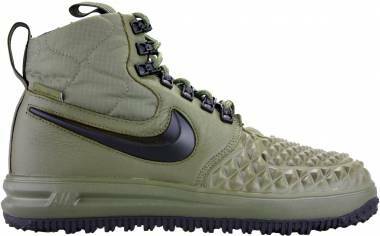 Its padded collar, elastic grommets, and signature rubber waffle sole are among the best-selling features of this shoe. 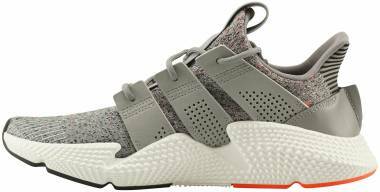 Significantly influenced by iconic Adidas Stan Smith, the Tennis Hu made use of ultra-light jersey mesh in a streamlined sock-like structure. Like the earlier NMD Human Race varieties, these grey sneakers designed by American artist Pharell Williams, come with a one-piece structure in a minimalist build. The modestly constructed upper sits on a textured EVA midsole. Seamlessly blending the past and contemporary styles, designer Raf Simons hooked up with the Three Stripes brand for the drop of light grey sneakers called the Detroit Runner. Considered as a conversation piece for its eye-grabbing and oversized sole, this Raf Simons kicks offer a youthful touch that’s fitting for high-street fashion. A high-couture bootie structure, this collaborative work between Adidas and Stella McCartney cannot be missed in a sea of lifestyle grey sneakers. Its Grey/ Stone/ Core White/Eggshell Grey body is suitable for pants that taper on the hem for an upbeat glow or with joggers and leggings for an athletic vibe. 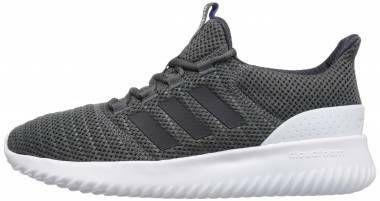 These predominantly grey sneakers command a high price as these are equipped with Adidas technologies, built with signature Three Stripes Primeknit upper, and responsive Boost midsole. Inspired by vintage Adidas training shoes for running, these AW grey sneakers resemble a retro prototype silhouette that has codes and visible stitching patterns. 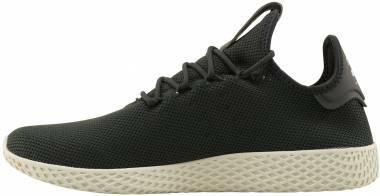 These sneakers constructed with nylon, leather, and suede body look as if these were pulled from a deadstock pile, modernized with smart-looking tri-color and thick rubber outsole in varying linear and wavy patterns. American fashion designer Virgil Abloh teamed up with Nike for the release of one of the monumental Swoosh releases which are included in 2018 The Ten collection. Wrapped in Wolf Grey/Pure Platinum/Black/ Cool Grey, these sneakers surfaced in a mid-top form that offers a high-fashion look. What is the meaning behind the grey shade? As opposed to the antagonistic black color, the neutral shade of grey offers a sense of balance that immediately presents a sophisticated, formal, and conservative vibe, mainly when used for apparel such as sneakers. Grey shoes also promote timelessness which makes them an easy choice to pair up with a wide selection of clothing. Which hues complement well with grey sneakers? Primary colors – Since grey is a neutral shade, it is versatile enough that sneakers with this shade easily complements with pants, shorts, skirts, cargos made of solid colors such as red, blue, and yellow. Pink – The combination of grey and pink provides a soft and classical appearance. Pink knitted sweater pairs well with grey sneakers. Dark green – The fusion of grey and dark green colors connote a mysterious and sophisticated tone. Grey sneakers with a touch of this cool shade pairs well with white pants or joggers. It can also be matched with a green coat and grey skirt for a dressy look, or with dark grey pants and white tee with a green graphic for a casual feel. What are the popular colorways associated with grey shoes? Charcoal grey– This tone is a representation of the dark grey tinge of burnt wood. Sneakers with this shade like the Adidas NMD_R1 and Ralph Lauren Faxon Low give casual clothing such as cropped jeans a soft appearance. Wolf Grey – Wolf Grey is one of Nike’s favorite grey colorways which is a light hue that’s seen in models like the Nike VaporMax Plus, Nike VaporMax Plus Flyknit, Nike Roshe One, Nike Air Max 1 Premium, Nike Air Max 90 Essential, Nike Juvenate, Nike Air Max Zero SI, Nike Air Max Zero Essential, and Nike Air Max 1 Ultra Flyknit. Moon Rock– Moon Rock is a shade that falls within the warm and light grey spectrum roughly resembling the shade of ash. This hue encourages users to experiment with their choice of clothing since its color blends with a wide range of colors. Some of the grey sneakers that made explicitly of Moon Rock are Onitsuka Tiger Mexico 66, Yeezy 350 Boost, and Ecco Soft 7 Retro Tie. Cool Grey– Another staple tonal grey colorway by the Swoosh brand is Cool Grey. This much-recognized shade made an impact with the release of the Air Jordan XI in 2001, and became a familiar hue in Swoosh sneakers such as Nike Air Max 1 Premium, Nike Air Max 95 Essential, Nike Juvenate, Nike Air Presto x Virgil Abloh, Nike Air Max 97 Ultra 17, and Nike Air Max 90 Premium. Warm Grey– Warm Grey is one of the earthy shades that’s available in a couple of Ecco products such as Ecco Enrico and Ecco Soft 7. Leaning towards light brown, this tone offers a sophisticated feel to fashionable, skate-inspired sneakers like the Supra TK Low Stacks Skate. Dark Grey – Sporty grey sneakers get a refined tone when covered with a dark tinge of grey that’s almost close to color black. 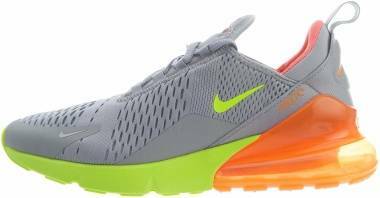 Some of the kicks with this shade are Nike Shox NZ and Nike Air Presto Premium. Slate – Slate is a grey tone coated with blue color which is a depiction of fine-grained rock created by volcanic ash or clay. It is also a mixture of green and purple pigments. Sneakers with this kind of shade include Timberland Flyroam Leather Oxford, Skechers D’Lites – Me Time, and New Balance Quincy 254. Glacier Grey – Taking cues from its name, this type of grey tinge falls under the cool shade that suggests a calm and soothing nature. Glacier grey sneakers include the Nike Internationalist, Puma Blaze of Glory, Puma Fenty Pointy Creeper Patent, Onitsuka Tiger Mexico 66 Slip-On, Onitsuka Tiger Ultimate 81, and Asics Gel Lyte III.